I may have given you the impression that the only birds at the Arizona-Sonora Desert Museum are raptors, like the barn owl and Harris’s hawks I saw in their daily Raptor Free-Flights. 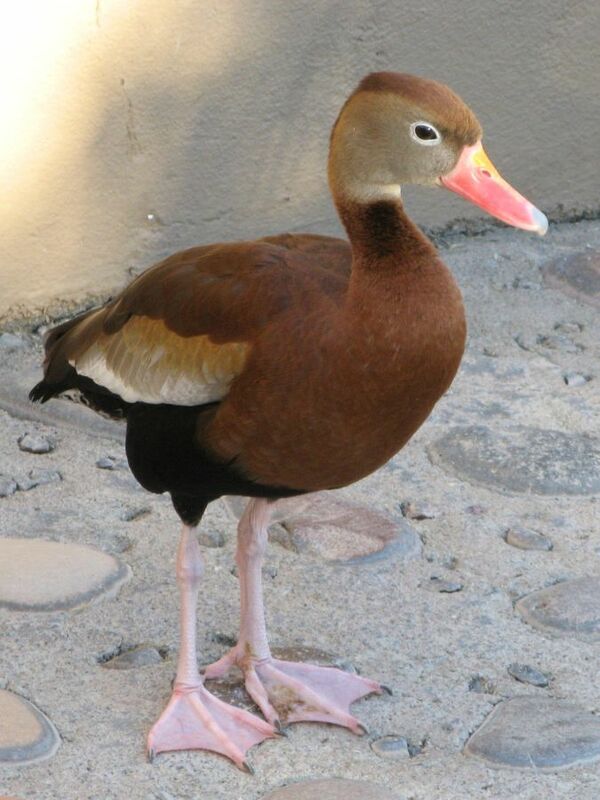 But visitors to the ASDM see plenty of other interesting birds, all native to some part of Arizona. 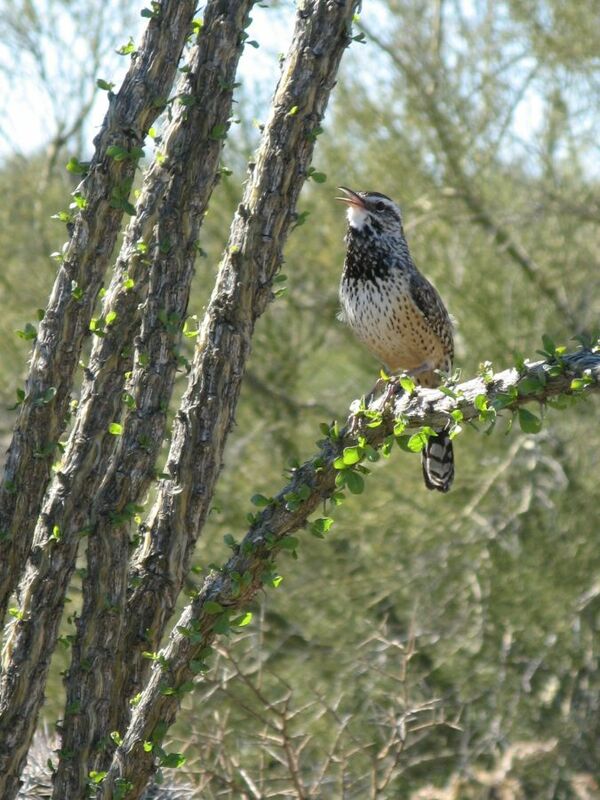 When I was there in February, I was greeted by a desert favorite of mine, the cactus wren. A little smaller than a robin, this feisty bird actually nests inside dead saguaro. I heard them calling throughout the day, and they hopped past me even in the parking lot. One came out in the open and sang his heart out for me. When I saw a bird a top a saguaro skeleton, I half-expected it to be another wren. 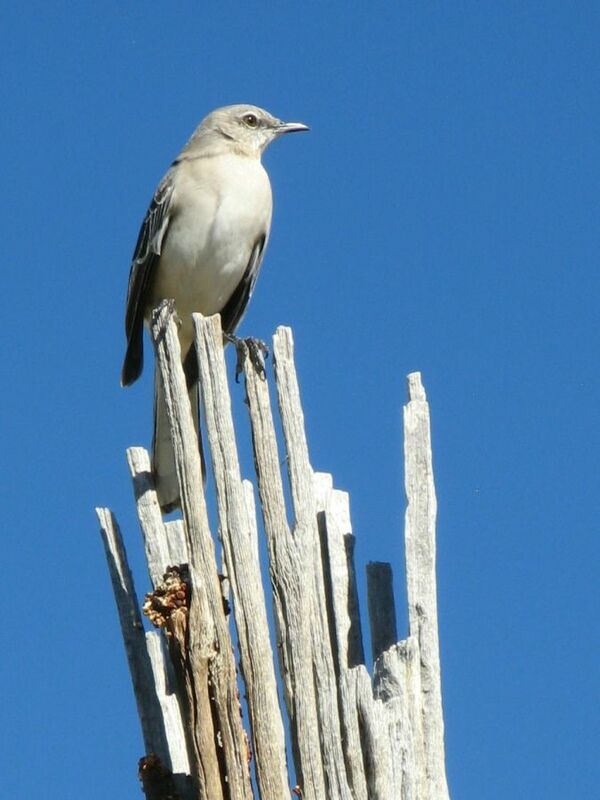 Instead, it was a the more common mockingbird. The museum has two walk-in aviaries. One includes a mix of birds. I caught sight of quail, hummingbirds, pyrrhuloxia, and a beautiful black-bellied whistling duck. The second aviary is smaller, and dedicated to hummingbirds alone. My photographs did not turn out well, but the most striking hummingbird we saw was Costa’s. 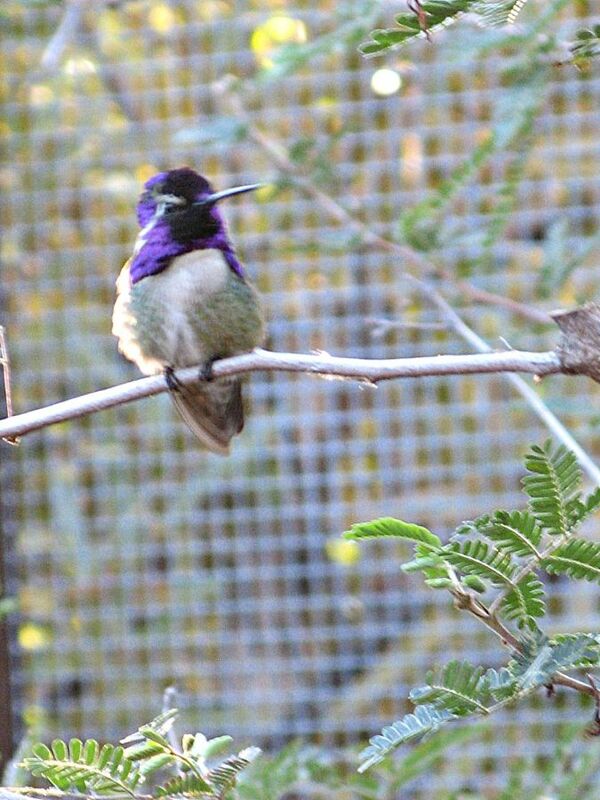 Even in my fuzzy picture, you can see the brilliant purple neck frill this hummingbird sports.